The beta version of Chrome 65 was released just over a month ago, and now it has graduated to the stable channel. This release includes the much-anticipated ad blocker, as well as a change to Incognito mode and some security improvements. Without any further ado, let's jump right in. Some readers in the comments have pointed out the ad blocking feature is already live for them in Chrome 64. 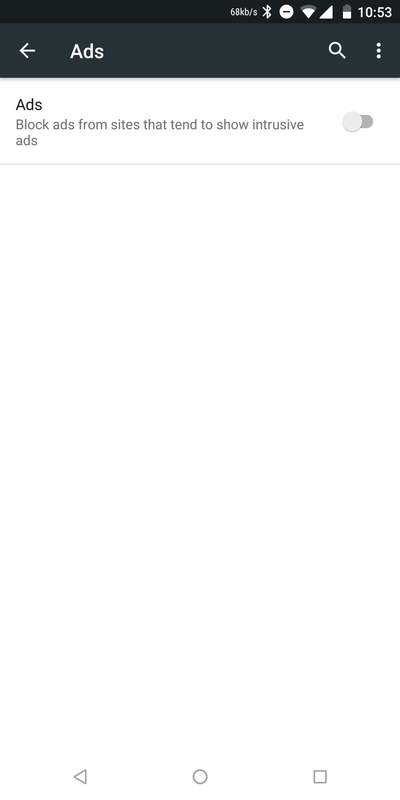 It wasn't visible on my test device running Chrome 64, so it looks like v65 just enables it for everyone. 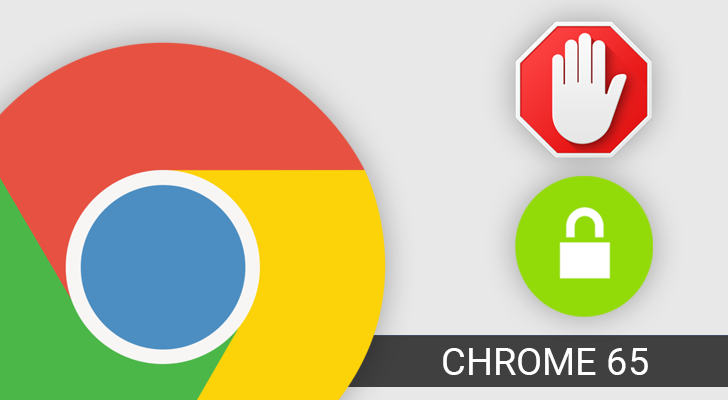 Google announced last year that Chrome would include an ad blocker, but instead of outright blocking all advertising, Chrome would only disable ads on sites not following the Better Ads Standards. In other words, if a site was showing full-page ads, large sticky ads, and other types of intrusive advertising, Chrome's blocker would kick in. 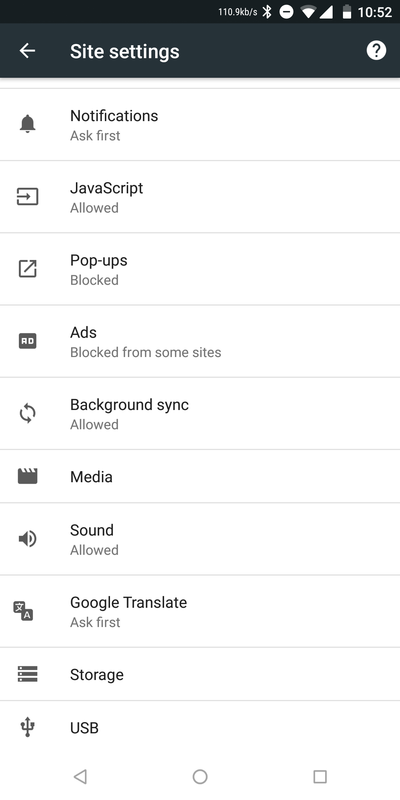 The ad blocker now appears in Settings > Site Settings, where it can be turned on or off. The feature has been functional in Chrome Beta/Dev/Canary since February 15, but now it has arrived in the stable channel. There are a few notable security improvements in Chrome 65. First, Chrome will no longer trust certificates that were issued from Symantec's Legacy PKI after December 1st, 2017. Google announced this change in September of last year, after Symantec was found to be distributing certificates that did not comply with industry standards. Additionally, this update includes support for version 1.3 of the Transport Layer Security (TLS) protocol. TLS is the technology that allows web browsers to securely connect to HTTPS websites, and version 1.3 is currently being drafted. Firefox added TLS 1.3 support in March 2017, but it's currently disabled by default due to compatibility issues. Like always, Chrome 65 includes changes for both users and developers. Here are some smaller features that ship with this update. The Web Authentication API is included in Chrome 65, but you have to enable a flag to try it out. The :any-link CSS pseudo-class is enabled by default. On Android, the prompt for simplified view for supported content can be enabled from Settings > Accessibility. The CSS Paint API allows pages to programmatically generate an image and reference it in CSS styles. On Android, the preferred language for web content can now be set from Settings > Languages.